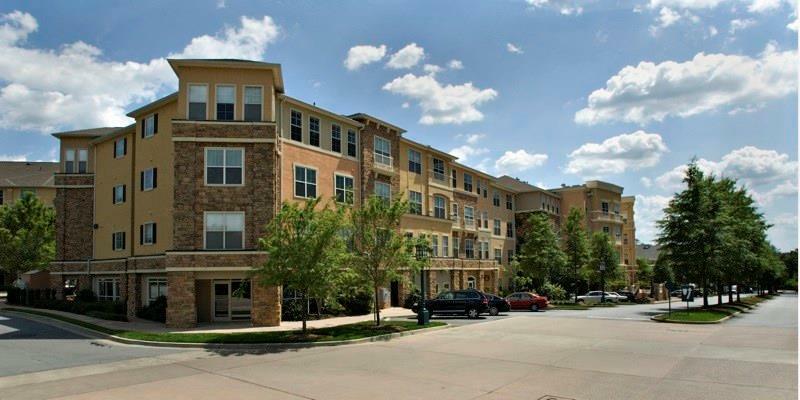 Beautiful third floor large corner unit with separate dining room and living room. 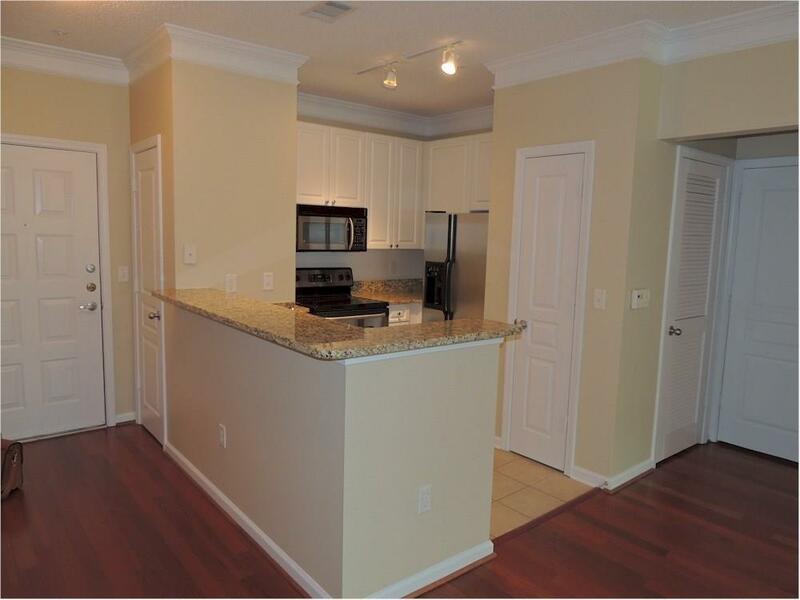 Features hardwood floors, roommate floor plan, large master bedroom and master bath with double vanity. Private storage unit included. 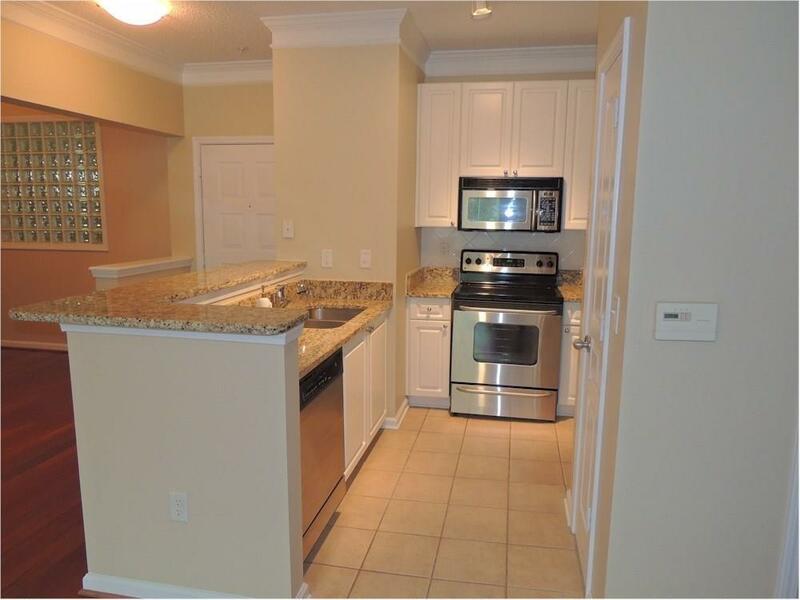 New appliances and HVAC system. 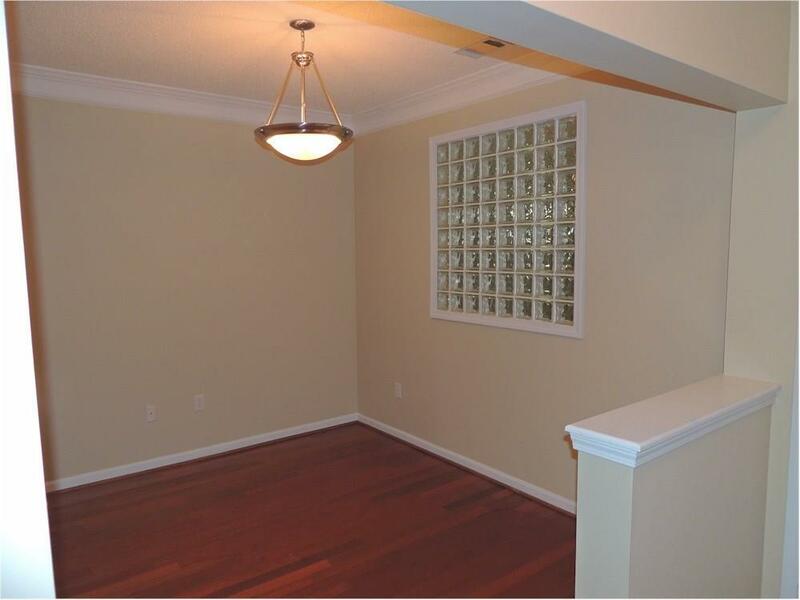 Convenient parking on same floor as unit with two spaces and a private storage unit. Enjoy resort like pool, clubhouse, fitness center and billiards room. Convenient to Perimeter Center and I-285. Transferable rental permit available. Damaged windows being replaced.